“Returning Violence For Violence Multiplies Violence, Adding Deeper Darkness To A Night Already Devoid Of Stars…Darkness Cannot Drive Out Darkness; Only Light Can Do That. Hate Cannot Drive Out Hate; Only Love Can Do That.” — Dr. Martin Luther King Jr.
“The intentional use of physical force or power, threatened or actual, against oneself, another person, or against a group or community, that either results in or has a high likelihood of resulting in injury, death, psychological harm, maldevelopment, or deprivation.” Review the drop down list of violence areas for additional information. 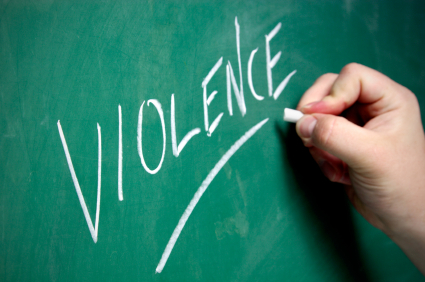 For more about violence and its prevention, click on the link below.